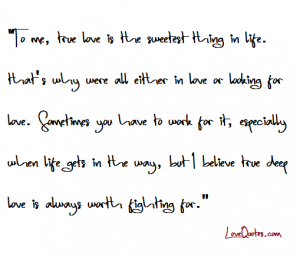 "To me, true love is the sweetest thing in life. that's why were all either in love or looking for love. Sometimes you have to work for it, especially when life gets in the way, but I believe true deep love is always worth fighting for."